New in late 2014, our winery offers wines made on premises and casual food selections from a wood fired oven & more. Enjoy our rustic yet savory pizzas and other selections from our wood-fired oven, plus pastas, artisan cheese plates, soups, salads, desserts, gourmet cheese plates and more! Live music most Friday evenings and seasonal events. Award winning patio weather permitting. 1285 Winery at The Blueberry Patch is a great place to bring friends, host an event, or relax on your own. Apple Hill Orchards is family-owned and operated orchard and farm market. We offer our own apples, peaches, pears, cherries, and plums--most available for pick-your-own when in season. In the store we have Amish cheese and meats, a large selection of jams, jellies and apple butter, speciality items, gifts, candies, spices and from our bakery, our own apple donuts as well as breads, pies, cookies, muffins and more. An observation beehive, hayrides, group events and special fall events round out season. Come see us! The Deer Ridge Golf Club and Black Dog Tavern offers an amazing backdrop for events, weddings, and golf outings conveniently located just off I-71 at exit 165, halfway between Cleveland and Columbus. The golf course is rated 4 stars by Golf Digest and the 12,000 sq. ft. clubhouse and banquet facility is a beautiful log structure with a 2000 sq. ft. wrap around deck for dining or just sitting and relaxing while watching the golfers play the #1 and #10 holes and taking in the breathtaking Mohican Valley. The Richard County Park District’s Gorman Nature Center features 150 acres of forests, prairies, ponds and streams and provides over five miles of public trails close to the population centers of Richland County. The Gorman Nature Center naturalist staff sponsors weekly programs for the public featuring a variety of hikes, field trips and natural history programs. Cross country ski in the winter too! Looking for something fun to do this evening? Here at The Happy Grape Wine Bar & Bistro our motto is "Drink what you Like". Stop in tonight and enjoy the relaxed and fun atmosphere we provide. Live music is featured weekly. Choose from over 100 wines from around the world along with Brewing Works, numerous craft beers, top shelf Bourbon and Whiskeys and a full bar and drink menu. Enjoy handmade artisan flatbreads, stock made soups, sandwiches and shareable platters. Have a sweet tooth? Enjoy our signature chocolate cake or one of our weekly dessert specials. Enjoy time well spent with friends as our knowledgeable and friendly staff helps you do just that. Cheers! Kingwood is the 47-acre former estate of Charles K. King. The grounds are renowned for both their historic significance and the brilliant floral displays. The French Provincial mansion provides an elegant setting for the gardens and is available for viewing by appointment and on specified days and hours including the Christmas season. An elegant greenhouse features plants for sale including rare and distinctive selections not found in garden centers. The extensive gardens and grounds offer an oasis from the stress and commotion. Programming includes lectures, workshops, family and children's activities and special events. See our website for details. Workshops also available for children. The Little Buckeye Children's Museum is a unique, safe and welcoming environment where young children (1-10) and families can strengthen relationships and experience the benefits of play that are critical to human development. BibleWalk is Ohio's only life-sized wax museum and home to the state's only Christian Dinner Theatre, "Dinner With Grace." BibleWalk features 78 life-sized dioramas accompanied with special effects and an audio text that will guarantee an experience of a life-time. The tours include: The Life of Christ (60 min), The Miracles of the Old Testament (60min), Heart of the Reformation (30 min), The Museum of Christian Martyrs (30 min) and Amazing Grace-The Journeys of Paul (30 min). Also on display are a number of exhibits including: The Walk of Parables, American votive folk-art, wood-carvings, Word Art and a collection of rare Bibles just to name a few. The historic home of author Louis Bromfield, Malabar Farm State Park, works to continue his legacy through promotion of conservation, agriculture and literature. During Mohican Wildlife Weekend in April, Malabar Farm hosts educational events concerning Ohio wildlife and promoting healthy activities with a 5K and guided hiking. Group hikes are regularly scheduled, but hiking trails are also open to the public all year and accommodate cross country skiers. Malabar Farm also offers educational programs about wildlife from barn animals to blue jays, and hosts tours of the Big House and farm. Popular events at Malabar Farm include Maple Syrup Days, Heritage Days, Hearthside Cooking Workshops, and Christmas at Malabar.The park is also known as the wedding site of Humphrey Bogart and Lauren Bacall and the filming site of the opening scene of The Shawshank Redemption. Time to get away to Mansfield, Ohio! This site is full of travel ideas, Local Deals, and easy navigation to find what to DO, where to STAY, and what to EAT. Our calendar of EVENTS changes often, some stop back from time to time. You can even find "what's nearby" on your phone. Please connect with us on social media! Time to start Exploring! Library locations: Bellville, Butler, Crestview, Lexington, Lucas, Madison, Ontario, Plymouth branches and the Main Library. Please visit our website for branch locations and hours. A comprehensive motorsports facility, Mid-Ohio Sports Car Course features a permanent road-racing circuit with two primary configurations: a 2.4 mile, 15-turn, and a 2.25 mile, 13-turn circuit. The park-like, 330-acre complex is home to The Mid-Ohio School. The Mid-Ohio School offers entertaining, exciting, and innovative automobile and motorcycle programs in a safe environment that maximizes driving and riding time, while developing the skills of participants. Some of the classes include the Honda Teen Defensive Driving Program, Fleet Training, High-Performance classes, and even corporate programs for employee and client entertaining. The Miss Ohio Pageant has called Mansfield home for more than 40 years and is held at the historic Renaissance Theater. The week-long event (June 9-16, 2018) will feature our contestants around the community, onstage competitions and the crowning of Miss Ohio 2018 and Miss Ohio's Outstanding Teen 2018. Many of the activities are free to the public. Ohio's first and finest canoe livery, offering paddling trips from 2 hours to 5 hours on the scenic Mohican River. Leasing canoes, kayaks, rafts and tubes to accommodate everyone's floating adventure. Discover family fun on one of our three lighted 18 hole miniature golf courses, where waterfalls, caves, boulders, and beautiful landscape enhance your play. Race on into the Go-Karts and take a spin on the family or slick tracks. Our aerial adventure park takes your fun to new levels! So Come to Play and Plan to Stay in a cabin or camping, and enjoy the great outdoors at Mohican Adventures. All the best of Mohican in one place. Experience wildlife and natural history in the breathtaking hills of Richland and Ashland counties. Our theme for 2018 will be "All About the Outdoors". Workshops, walks and demonstrations for beginners and experienced naturalists. Be sure to check the website for details. Built in 1847, it has seven gables, five double chimneys and seven marble fireplaces. Louis Bromfield, native of Mansfield and Pulitzer Prize-winning author, played at Oak Hill as a child. His memories of the home were the basis for "Shane's Castle" in his 1924 novel "The Green Bay Tree". Operated by the Richland County Historical Society. Considered to be the most perfect Gothic House in the U.S.! We welcome small clubs or family groups! Designated a literary landmark by the National Friends of the Library Association. The Ohio Bird Sanctuary is located on the headwater of the Clearfork River in Mansfield, Ohio. The marsh and old growth forest offers great birding and hiking opportunities. Enjoy seeing birds up close at the birds of prey display or by walking through the songbird aviary. The Ohio Bird Sanctuary is also a wildlife rehabilitation for native bird species. Group tours must be scheduled in advance and a fee applies. Picnic tables, gift shop areas, displays. At Ohio dreams Adventure Camp, campers ages 7-17 stay anywhere from one to six weeks while learning and participating in Orienteering, Ninja Warrior, Archery, Canoeing, STEM Projects, Hiking, Mountain Biking, Climbing, Skateboarding, Scootering, BMX, Slacklines, Disc Golf and the world famous Slip-n-Fly! 60,000-volume genealogical library, primarily for Ohio family research, including census records, cemetery listings, Bible records, vertical files, manuscripts, newspapers, and lineage papers for First Families of Ohio, Society of Civil War Families of Ohio, and Settlers & Builders of Ohio. Write for brochure and publications list. 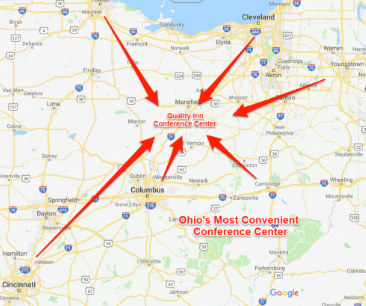 We have material on Ohio's 88 counties and all other states. 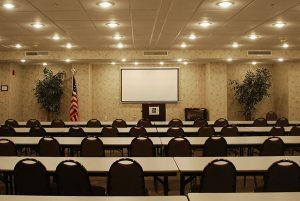 Meeting facilities available. With the cornerstone laid in 1886, this castle-like prison was designed as a reformatory for young offenders. Five major motion pictures have been filmed on location including "The Shawshank Redemption", "Air Force One" and "Escape Plan 3" (2018). Abandoned in 1990, the original cell-blocks and administration areas remain intact. The Renaissance Theatre opened as a movie palace in 1928 and is now an exciting performing arts center dedicated to providing world-class entertainment and arts education programs to the people of Richland County and beyond. Presenting a diverse lineup of arts and entertainment acts each season, the theatre is home to the Mansfield Symphony and the Miss Ohio Scholarship Program. Having recently completed a 5 million dollar expansion and renovation project, the theatre now offers the best in patron amenities with new restroom facilities, a modern two-story atrium lobby, and an elevator, which offers complete handicapped accessibility. The theatre presents the Mansfield Symphony, local Broadway productions, a full slate of concerts in every genre, comedy shows, and original works. Guests are invited for backstage tours. The theatre is available for rentals, weddings and receptions. Visit www.mansfieldtickets.com for a complete list of events. Richland Carrousel Park opened in 1991 as the first new, hand-carved carrousel to be built and operated in the United States since the 1930's. The Carrousel figures were carved in the style of G.A. Dentzel, one of the most revered carvers of the early 1900's. Fifty-two beautiful animals and two chariots. There are 30 horses and 22 menagerie figures including a mythical hippocampus A Stinson Band Organ provides rousing music for carousel riders. The scenery panels atop the carrousel depict past and present attractions in Mansfield. Indoor facility. Open year-round. Gift shop and concessions. Accessible to the handicapped. A paved 18.4 mile bike trail is built on the railroad bed of the former Baltimore & Ohio Railway. Connecting Mansfield, Lexington, Bellville and Butler, the trail traverses some of the most scenic parts of North Central Ohio. There are multiple access points in each community. The trail is open year-round during daylight hours for bicycling, in-line skating, walking, jogging and also cross-country skiing in the winter. Motorized vehicles and horseback riding are prohibited. Parking and bike trail access are available in each of the communities listed above. For more information, call the Gorman Nature Center at 419.884.3764. Four large, heated buildings: Fairhaven 100'x200' with office and food service by staff, two buildings, 60' x 200', both with showers, one building, 60'x 80', stage and sound available; all within easy walking distance. Richland County Fair, Flea Markets and Gun Shows. As you travel along the 14 authentic filming sites of The Shawshank Trail, you can touch and feel the places Andy and Red did. Feel the same hope Andy talked about while you explore Shawshank Prison, or walk down the same road as Red on his way to Fort Hancock, Texas. You've seen the gang's original adventure, now it's time to finish your own. Don't let your love of The Shawshank Redemption end once the movie is over. Snow Trails offers Skiing, Snowboarding, and Snow Tubing. Broad slopes and pristine snow conditions await you, December through March, thanks to major investments in snowmaking equipment! Our newly improved Beginner's Area, now complete with two Surface Conveyor Carpet Lifts and Beginner's Double Chairlift, plus our spacious Rental Center with self-service boot dryers, skis, and snowboards, and friendly instructors, for learning made easy! Now 17 Slopes, 3 Glade Skiing Areas, 4 Terrain Parks, 6 Chairlifts, and 2 Surface Conveyor Lifts, all 100% lighted for night skiing! Lessons available for all ages. Full Service Ski Shop, Two Restaurants and Bars in Daylodge, slope-side. Kid friendly Snow Tubing Park, complete with Surface Conveyor Lift, Tubing Lodge and Snack Bar, all 100% lighted. We make all the snow needed! Guaranteed snow conditions all season long! The Barnyard is Richland County's premier fall destination for families. We offer 20 attractions such as a corn maze, apple blaster, hillside slides, pumpkin slingshot, petting farm, inflatables, Barnyard ball zone, wagon rides, Barnyard game zone, and gemstone mining - just to name a few! Mansfield's only brewery and tasting room! Featuring our own handcrafted beers along with regional foods, beers and wines in our restored 1914 mortuary. A 2 1/2 hour adventure through the treetops by means of ziplines, sky bridges and rappels or our new 60' Free Fall. Northern Ohio's longest and fastest canopy tour located in the heart of Mohican Country. You don't want to miss it!